The revitalization of declining commercial/industrial based communities. Voluntary Response Action Program Law (Maine law) - Most Brownfields sites also participate in the VRAP program. 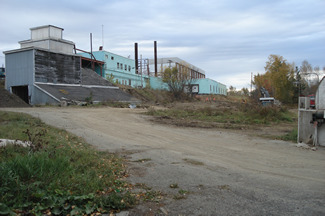 Municipal Brownfields Site Assessment Program Application (PDF) - Municipalities that have vacant industrial properties where redevelopment is impeded by contamination (real or perceived) may qualify for this program. Municipal Brownfields Remedial Program Request for Assistance (PDF) - Municipalities that own properties they would like redeveloped where there is known contamination and remediation is necessary to make the property marketable may qualify for this program. Interstate Technical & Regulatory Council (ITRC) Guidance documents and education materials on site characterization and remedial technologies.